So you just got a paypal account. Right ? Do you have money that is stuck on paypal because your account is not yet verified?Did you know that you need to verify your paypal account for you to keep enjoying their services? If you never knew, now you know. In this post I will guide on how to verify your paypal account using the Nakumatt Global Card to avoid the scenario where you have money on paypal and you are not able to withdraw it. What is a Nakumatt Global Card? A Nakumatt Global Card is a Pre-paid Debit Card and a Loyalty Card. The card is a result of the collaboration of Nakumatt Supermarket, Kenya Commercial Bank (K.C.B), Diamond Trust Bank (D.T.B) and MasterCard. How to apply for the Nakumatt Global Card? To apply for the Nakumatt Global Card visit Any Nakumatt Supermarket, Kenya Commercial Bank or Diamond Trust Bank. Ensure that you carry a Copy of your Identity Card and you fill out the Application Form provided. In addition, there are minimal charges incurred. If you fill out for the card at any Nakumatt Supermarket you will be charged 100kshs, 500 kshs at K.C.B. and D.T.B respectively. How to Top Up your Nakumatt Global Card? Its free to top up your Nakumatt Global Card and if you are at the Nakumatt Supermarket, just inform the cashier at the till that you need to top up your card with a particular amount of money and consider it done. In case you opt to top up using your KCB or DTB Bank just let the teller know. Hint: Personally, I prefer using Nakumatt Supermarket to top up my card because it is more flexible for me as I do shopping, I earn Loyalty Points when I use the card and because I know when to go to the supermarket, I avoid the long cues that never end at the banks 🙂 . Note: Ensure that you top up you account with at least 500kshs right after applying for it. Enough with the Nakumatt Global lets verify your paypal account. Step 1: Log In to your Paypal Account. Step 2: Verify your card by Filling out the required Details. Your Name is most likely pre-populated on this page. Ensure you select MasterCard as the Card type. Then Enter your Card Number (Located at the front side of the card) and Enter your Expiry Date and Security Code (Found at the back of the card respectively). Finally, make sure that your billing address is entered correctly and if it is not, this is the best opportunity to change your address. Once you are satisfied with your application click the continue button. Step 3: Confirm your Card. If your application to verify your card was successful then you will be prompted to confirm your card in 2-3 days. Note: Paypal will deduct some money from your card (less than $2) to make sure that the card is yours. Once you confirm the card with the 4 digit code that paypal sends to your Nakumatt Global Card Online Portal then Paypal will refund the money within 24 hours. Step 4: Check your Nakumatt Global Portal for the 4 Digit Code Sent from Paypal to Confirm your Card. Once you have your 4 digit code, log in to your paypal account and complete the linking of the card / verification of your account. Note: It takes some time for the 4 digit code to reflect on your Nakumatt Global Card Portal. Be patient! 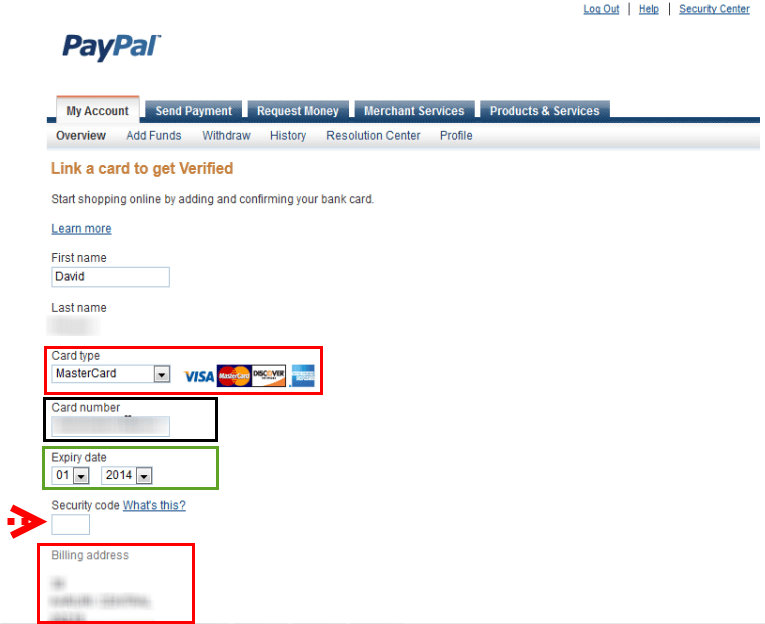 Once you verify your paypal account it is possible to continue with your withdrawals or online transactions. It is easy and fast. There is only one error you might run into while trying to verify your Paypal account using the Nakumatt Global Card. Do not panic when yo get this error. The easiest way to solve this problem is by calling the Nakumatt Global Customer Care or Any of the Supported Banks (K.C.B or D.T.B). The error is caused by a conflict of the billing address and on most of the occasions the billing address on your paypal is not reflecting on the Nakumatt Global Card Systems and has to be entered manually. That’s all there is to know when you need to verify your paypal account using the Nakumatt Global card. The Nakumatt Global Card can be used to shop in Kenya and abroad where MasterCards are accepted, you receive an SMS alert everytime you use your card, It is possible to top up the card using multiple currencies and finally, you can access and download your transaction statements from the Nakumatt Global Card Portal. What are you waiting for ? Go get your Nakumatt Global Card! If you are a freelancer and you have the option of sending or receiving money through Skrill feel free to check out my video blog post on How to Withdraw or Send Money From Skrill to Mpesa. I highly appreciate your feedback, therefore feel free to follow up with any concerns, comments and questions on the comments section below or Freelancer Insights Facebook Page or you can Contact Me. i have a paypal account which i verified through equity about 2 years ago. however, i have never understood why i would want to use Nakumatt global to verify my account and yet i canot withdraw using the same? what is the logic behind yet i will still need an equity bank account to withdraw the cash. Thanks Jarred for taking your time to read my blog. I am glad that you got loads of information. With regard to being able to withdraw money from paypal to nakumatt global, I did inquire from Nakumatt and the response I received is that they will make the service available in the near future. I believe lots of logistics come into play before payment services accept to work together. That in mind, I believe it is in the interests of both parties to come together and work to ward streamlining services therefore I feel optimistic that in the near future more services will come up to help alot of people transact from paypal to another financial service provider / Nakumatt global or even Mpesa. You will need to set up an equity bank account to be able to link it with paypal. Yes I am a Living Legend. Ha ha ha Challenge accepted . GAME FACE ON. Hello Victor, Unfortunately it is not possible to withdraw cash using the Nakumatt Global Card since it does not support withdrawal from paypal. You can use the Nakumatt Global card to verify your paypal account but not withdraw cash. The only system available is using Equity Bank https://epal.equitybankgroup.com/paypal/pages/paypal_withdraw_service.html or Paypal to Mpesa Agents. Hi, what about using it with skrill, I’ve tried several times without any success! Hello Ben, I have also tried using the Nakumatt Global on Skrill without success. I contacted both Nakumatt Global and Skrill and for some strange reason when I contacted Skrill it went through. If that does not work it is also possible to use your Mpesa Statement and ID card to verify your skrill account. Hi David, just finished this verification, and reading through the comments, and realising I will not be able to receive funds through the Nakumatt global Card. I do not have an equity account. So it seems my only option to withdraw funds is through Paypal to Mpesa agents? From your experience, is it the better and more viable option to open an equity account for paypal purposes? Thank you for reaching out and taking time to read my blog. Unfortunately, it is not possible to receive funds through the Nakumatt Global Card. At the moment Paypal to Mpesa agents will work but it doesn’t break a bone to link an Equity account to Paypal. An equity account comes in handy especially when you are not in a hurry to get money in your pocket and want to enjoy better exchange rates. Paypal to Mpesa gives you that option although it takes 5-8 business days to get money in your pocket. As for using Skrill Personal or Business: Either works but at the moment you can have a personal skrill. In situations where you do alot of transactions then Skrill contact you to upgrade your account to Business. You are most welcome Ciru. hi David, can you please tell me why i get an error response from paypal saying that their card verification system is down and i should try later everytime i try to verify my account. Thanks for reaching out and apologies for my late reply. 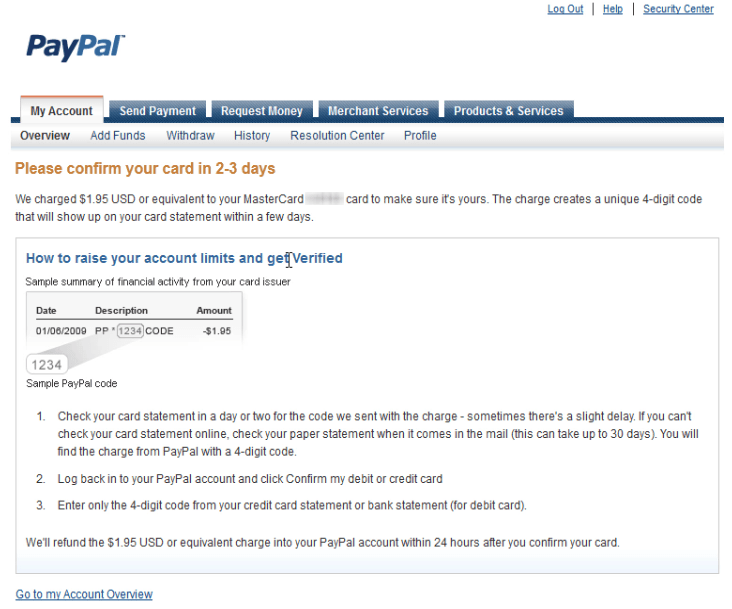 What system were you trying to use to verify the paypal account ? Equity or Nakumatt global. Mostly when you get the error is mostly on the paypal side. Thanks for your great and commendable job you are doing in this fraternity. Your selfless care to the fellow freelancers is highly noted. Well, I am a newbie in transcription work and I have continually read your encouraging information in this career but I still do not know which site is best to start with because I feel that I really need to work on my listening skills. I do not get well some words used by the client even after replaying the audio i.e. during my personal tests. So, kindly advise which site could be better to start on and one that does not have long audios. Your advise is highly appreciated in advance. … I like your drill down here. What were your USD / K.sh exchange rates when you bought items with your card?… I will be glad if you provide the time you did that so that I check on the exchange rates and see its cost. The Nakumatt Global Card was discontinued.